Over two decades, on two continents, Josette ten Have-de Labije and Robert J. Neborsky have struggled to define and perfect the therapeutic methods of Habib Davanloo. Between the two of them, they run active training groups in San Diego, Los Angeles, San Francisco, Washington, D.C., London, Amsterdam, Warsaw and Scandinavia. In individual practice, in teaching situations and in partnered study, they have worked carefully to translate the theory and application of the revolutionary clinician's approach. This textbook defines the terms: observing ego, attentive ego, punitive superego, transference, transference resistance, unconscious therapeutic alliance, working alliance, unconscious impulse, in very precise and clinically meaningful ways. David Malan advised that Davanloo's technique needs to be modified and softened if it is to be accepted by the majority of therapists Readers will discover that ten Have-de Labije and Neborsky have surpassed Malan's advice and have taken the practice of Intensive Short-Term Dynamic Psychotherapy to a new plateau. Mastering Intensive Short-Term Dynamic Psychotherapy translates Davanloo's intuitive genius into precise language and operations that students can learn in a systematic and clear way. Thus, applying their methodology fulfills the promise of short term, effective, and safe psychotherapy for a broad spectrum of highly resistant psychoneurotic and characterolgically disturbed patients. 'Through the year, I have had the privilege of participating in several workshops given by Drs ten Have-de Labije and Neborsky. At each juncture, I emerge as a better clinician. Thus, I began reading their latest contribution with great enthusiasm and anticipation. And I was not disappointed. Indeed, I was rewarded with a scholarly yet pragmatic, comprehensive yet concise, clear and articulate guide to this powerful, transformative therapy, ISTDP. Master teachers, ten Have-de Labije and Neborsky beautifully illustrate each major point with pithy case vignettes, often demonstrating both the "less informed" and the "more accurately targeted" therapeutic responses. Each chapter is a gem, but the ones on fostering the working alliance and treating patients with are especially meaningful to me, given my own clinical interests, and chapters that I will surely reread. As a clinician, this is a book that will stay on by bookshelf, ready to be referenced as specific patient issues arise. As a psychiatry training director and educator, it will be high on my recommended reading list for students seriously interested in learning psychotherapy. - David Malan D.M. F.R.C.Psych. 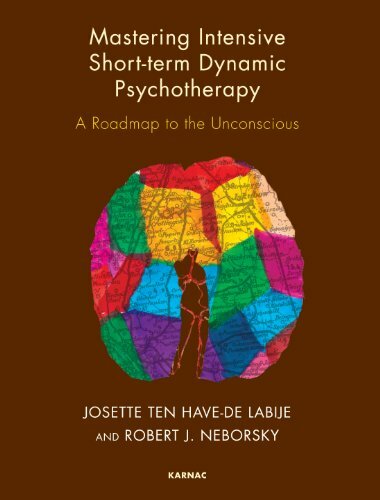 Josette ten Have-de Labije, PsyD, registered psychologist-psychotherapist and clinical psychologist, started her professional career in 1972 at the department for Neuro- and Psychophysiology of the Free University of Brussels. Thereafter she has worked in the Netherlands at a public mental health center for ambulant (non-residential) patients as coordinator of the Behavior Therapy Department and member of the Diagnostic Staff. Since 1990 ten Have-de Labije, who is Dutch by birth, has worked in private practice. As supervisor and trainer of the Dutch Association for Cognitive and Behavior therapy, she has supervised and and taught post-graduate courses in behavior therapy at the Universities of Utrecht and Amsterdam and several post-doctorate courses and workshops. As supervisor and trainer of the Dutch Association for Short-Term Dynamic Psychotherapy and of the South California Institute for AG-STDP she has led several post-doctorate courses and workshops. She has organized several national and international conferences on Behavior Therapy, cancer treatment and mental health, and ISTDP. Robert J. Neborsky, M.D., is a psychiatrist in private practice in Del Mar, California, and a Clinical Professor of Psychiatry at UCSD School of Medicine as well as UCLA School of Medicine (Hon). He is member of the Board of Directors of the International Experiential Dynamic Psychotherapy Association. He was a founding member on the Editorial Board of the International Journal of Short-Term Dynamic Psychotherapy. He is currently guest editor of the Ad Hoc Bulletin of Short-Term Dynamic Psychotherapy. In 1981, while training with Dr. Habib Davanloo, he co-founded the San Diego Institute for Short-Term Dynamic Psychotherapy. He co-authored Short-Term Therapy for Long Term Change (Norton, 2001) and is a contributing author in Healing Trauma (Norton, 2003). In 2003, Dr. Neborsky was honored by the UCLA School of Medicine Clinical Faculty Association as the Distinguished Psychiatric Lecturer of the Year for 2002. In 2003 he was one of the founders of the Southern California Society for ISTDP and was elected president. In 2008 he was appointed Distinguished Life Fellow of the American Psychiatric Association. Dr. Neborsky's professional activities include treating patients, training students in the techniques of Attachment-Based variety of Intensive Short-Term Dynamic Psychotherapy (ISTDP), presenting at local, national and international symposia, and completing a textbook book on AB-ISTDP with Josette ten Have-de Labije, PsyD. He is actively researching the interface between attachment theory and psychotherapy. Our customers have given this title an average rating of 3 out of 5 from 2 review(s), add your own review for this title. A simplistic and disappointing depiction of ISTDP. Brilliant overview of theory and practice. Invaluable! This book is a comprehensive overview of both theory and practice of ISTDP, an evidence based psychotherapy. Robert Neborsky and Josette ten Have-de Labjije have refined these techniques (building on the initial formulations of Davanloo & Malan) and then presented a clear strategy for specific approaches when dealing with different psychological disorders. The first chapters in the book deal with theoretical background including: explanations of psychoneurosis and attachment trauma; regulation of anxiety; and the role of defences. In my view the approach taken by ISTDP in understanding and treating anxiety is groundbreaking and has added a powerful dimension to my own psychotherapy practice. The authors also describe an approach to dealing with resistance in treatment (or defenses) which has the potential to derail the therapy process. Their method is both active and respectful and encourages development of a partnership in the therapeutic relationship that allows the patient ot develop to their highest potential. One word of warning: the theoretical chapters are extremely detailed and can feel overwhelming to absorb in one go even if you are familiar with the method. It may be useful to read these in "chunks" while skipping forward to the more active chapters on technique before returning to the earlier chapters as and when needed. Later chapters deal with specific disorders, including: phobias, depressive disorders and somatisation. A final chapter deals with the phase of termination. What I found exceptionally useful about this book is that each chapter contains both a theoretical overview of the disorder, followed by detailed vignettes from clinical cases. There are examples of helpful interventions as well as common "errors". It is structured in such a way as to make it easy to dip in and out of these chapters when working with clients with similar presentations. 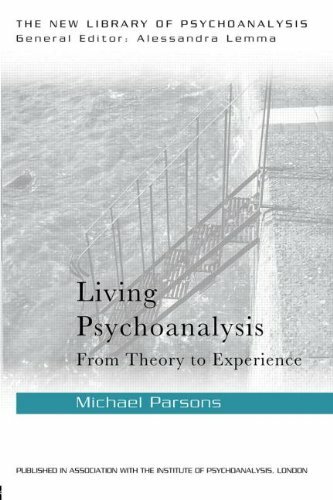 I would highly recommend this book to any clinician interested in the practice of dynamic psychotherapy.